The Saint John Regional Hospital Emergency Department Simulation Program was started 2012, with the aim of team development and training for less frequent, high acuity emergencies. With investment into the highest quality equipment we now have multiple on-site and off-site programs. 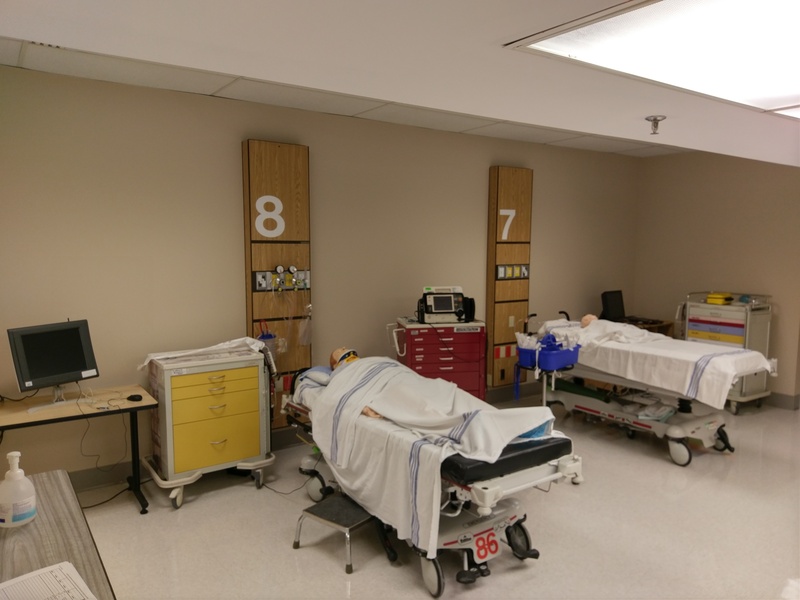 We have simulators for adult, child and infant scenarios all housed in our fully equipped Saint John Simulation Lab which includes both a realistic clinical area and an adjoining debriefing room. We are able to offer workshops on simulation debriefing and on how to use the simulation equipment. 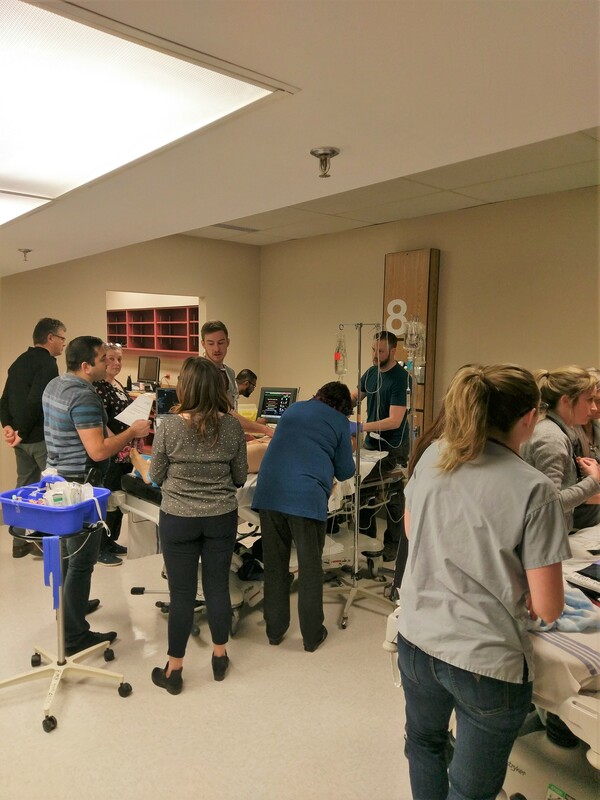 Dr. Jay Mekwan leads the Simulation program, which is divided into On-Site (Saint John Regional Hospital) and Off-Site Simulation (Zone 2). 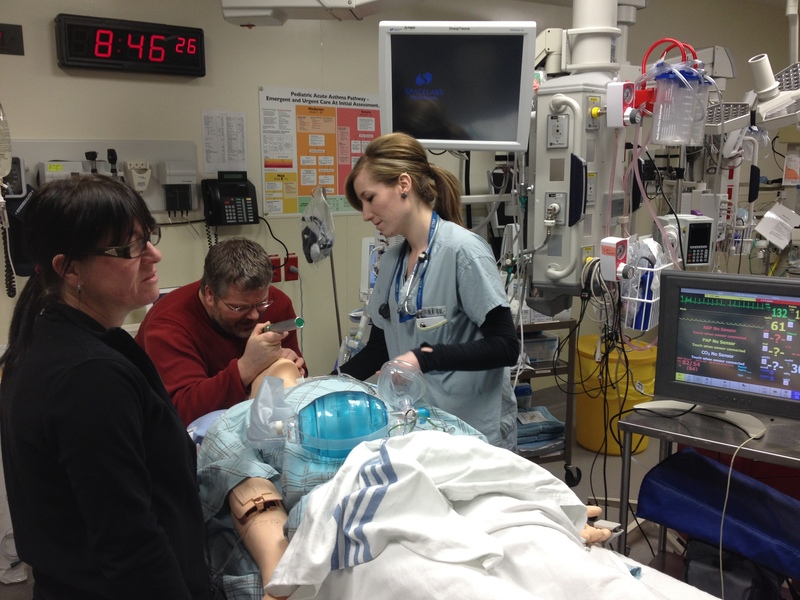 These are twice monthly, multidisciplinary simulation sessions run within the Emergency Department environment. They are short sessions with the added realism of occurring in the workplace. They are often used to train for high acuity low frequency events. This is a closed, multidisciplinary session. These sessions take place in our simulation lab. They are a chance for all our team members to practice emergency airway management, in a safe environment. Each of the scenarios poses different problems for the team to work through together. This program has been specifically tailored towards the Internal Medicine Residents, to allow them to experience managing high acuity patients in a safe environment. These are closed sessions with a focus on stress inoculation and leadership. 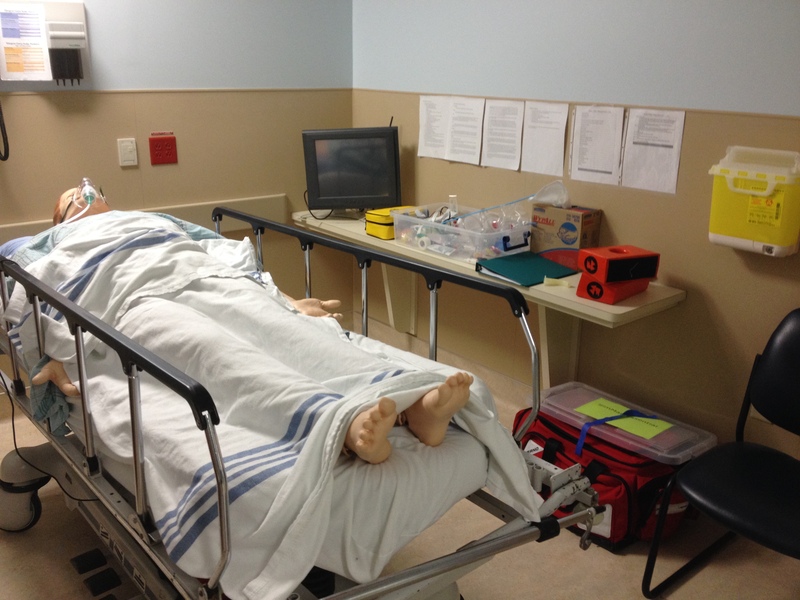 The Provincial Simulation Team provide in situ hi-fidelity simulation in Charlotte County, Grand Manan and Sussex Health Centres. We also provide simulation courses at University De Moncton and Saint John Regional Hospital. The emphasis is on helping doctors, nurses and paramedics develop their own competency whilst also helping departments develop systems that support the management of high acuity safety critical medical scenarios. The team believe in developing strong relationships with the doctors, nurses and paramedics they work with to develop trust, real systems that work and have fun! Education is supported by online learning materials, podcasts, lectures and assessments. Our on-site simulation lab has a simulation area with the ability to run three simulators at any one time. There is also an adjoining debriefing room to allow for prompt debriefing of each Simulation session. The clinical/medical equipment used replicates the equipment we have available in the Emergency Department. This includes all resuscitation and emergency airway equipment. Our Simulators include a Sim Man 3G, ALS Simulator and Sim Pad, and Sim Baby. We also have iPad + iPod SimMon for fully portable ‘on-the-fly’ simulations. The Simulation Program is always looking help with both writing and facilitating simulations. We are also looking for debriefers and would be happy to arrange group training and supervised debriefing sessions to accommodate 4-5 candidates at a time. We are building a bank of simulated cases and have produced guidelines and templates to aid development. These can be found in the Simulation File Store below. 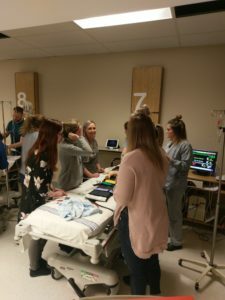 Contact Dr Jay Mekwan, Dr Paul Frankish, or Dr Paul Page if you would like more information on how to participate in the Simulation Program. An acute exacerbation of COPD (AECOPD) may be defined as an event in the natural course of the disease characterized by a change in the patient’s baseline dyspnea, cough, and/or sputum that is beyond normal day-to-day variations.